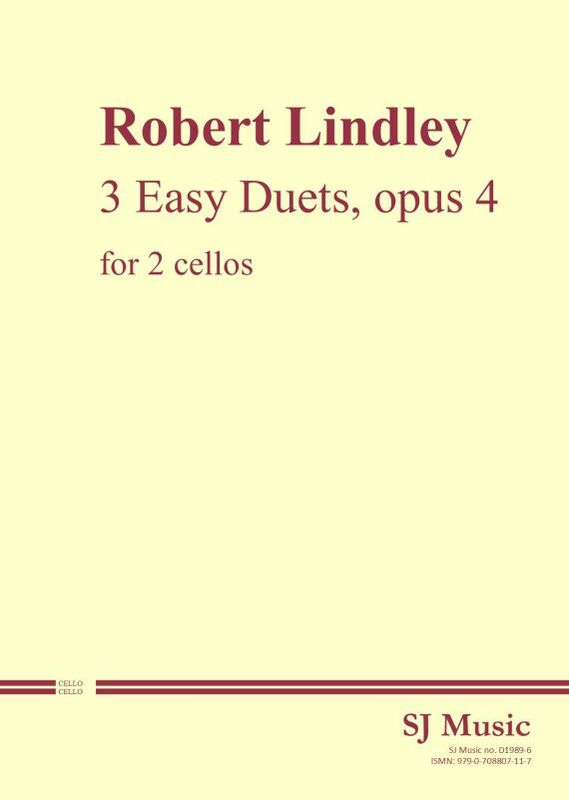 These very pleasant cello duets are but a tiny snapshot of the prodigious output of Robert Lindley. He was born in Rotherham, UK, in 1776 and died in London in 1855. He was an outstanding cellist and, aged 18, he became principal cellist at the Italian Opera in London, retaining that position until his retirement in 1851. His compositions include four concertos, duos for two cellos and for violin and cello as well as solo cello pieces.